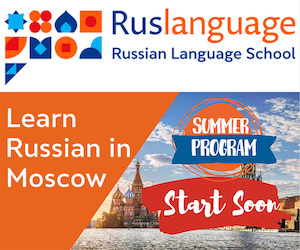 We receive emails from students - mostly beginners - wishing to have a thorough understanding of the Russian language. Let's start with the basic principles of organizing a self-study process and continue with helpful advice for beginners. 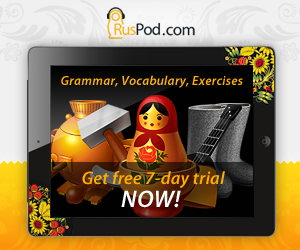 Allot certain time for learning Russian language (in the morning or evening) and keep your schedule. Study every day, even if you have a little time for a lesson. Make no more than one day off a week. Try to include an element of game and entertainment into your studies. Do not consider them a necessity or burden. The best lesson is a 60-90-minute lesson with a 5-10-minute break. It is good to make a 15-minute review of what you learned in 6-9 hour's time after your Russian lesson spoken language translation beginners. Make your place of studying as comfortable as possible. Pleasant background will put you in the mood for studying. Use and combine all your senses: sight, hearing, touch, taste, and smell. Remember your objective and stick to it. Pay special attention to those types of speech that you need mostly (writing, spoken language, etc.). Practice your language skills when the opportunity occurs. Practice every moment you have to spare. Try not to accelerate the pace that you found optimal, as this can worsen your results. Don't miss an opportunity to learn the history, economy, literature, geography, arts, and culture of the country bearing the language that you are learning. Before you start learning a foreign language, prepare one text-book, two dictionaries, one phrase-book, and some simple works of fiction. Study the text-book thoroughly. Miss no one exercise. When making translations, leave space for corrections. Work at all the mistakes you make. Begin to read adopted literature as soon as possible. Write out new words and phrases, but those only which you plan to use in the future. Collect all your questions about the language and ask native speakers or teachers to answer them. Also ask them to correct your mistakes. What's the difference between вовсе and совсем?